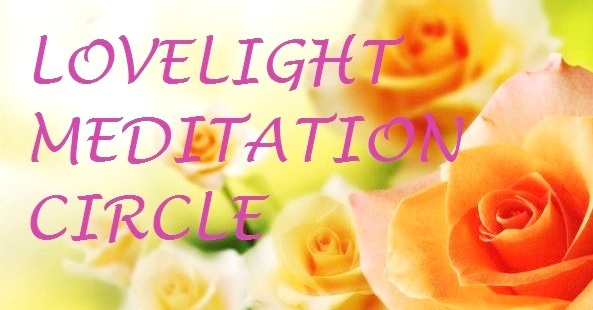 This is quick note to let you all know there’s a DNA Activation posted at the LoveLight Circle for April 11, 2018 = 11-4-11 ~ four pillars around the 4 vibration of stabilization of Love, steadiness and consistency of flow, expressing through the Double Infinity (Rose Cross) geometry of Sacred Union. See this post for an activation meditation/visualization attuned with this 11-11 Gateway. Remember through this intense phase of the planetary shift into unity consciousness, the Oneness vibration, to keep aligning in your heart with the Source of all Love-Light-Life, dear friends. We can be aware of the tensions of the polarity expression of 3-4D while flowing in total trust and inner peace with the current of Oneness. This includes the polarity expressions awakening folk sometimes still lean towards, such as polarization of ‘Service to Self v. Service to Others’, positioning people on one side or the other. Counsel from realms vibrating wholly in unity (5D+) is to Align with Service to Source/Service to Universal Love. We truly all know this deep within; that when we relax, trust and allow Divine Spirit/Universal Love to guide our perceptions, feelings, expressions, energy and actions, then we innately flow with ~ and radiate our energy in ~ ways that are most beneficial for All, in every moment. Thank you for all you do as embodiers of Love and Joy ~ wishing a beautiful, light-filled 11-11 to you all, Divine Beings! We wish you all a miraculously Happy New Year (by the Western calendar, with more ‘new years’ to come in the flow of collective ‘birthing’ focus points) at the opening of 2018. As collective focus empowers vibrations ~ where focus goes, energy flows ~ the shift of collective focus from ‘2017’ to ‘2018’ in number vibrations amplifies the opening of Gateways of deeper union and unity across dimensions, within and around the Earth’s energetic field. 2+0+1+8 = 11, the Twin Pillars ‘holding the frame’ of the doorway, the sacred space through which the light of divine union merges and flows, the pillars of the 11 combining as 2. We also have a Full Moon beginning this year (the largest supermoon of 2018), the mirror of the Moon reflecting and projecting light around the Earth to its maximum, so we can see, feel and ground in this physical realm a beautiful reflection of the higher dimensional LoveLight bath immersing this world. The potential for the energy of relationship, partnerships (of all kinds, in all life areas) unifying in higher vibrations, is magnified and focused this year within ~ and as a blessing to ~ the overall Ascending Earth vibration. Whether expressing in love partnerships, close friendships, deeper union with divine wholeness within, partnering in an enterprise or creative adventure, unification and sacred union in rising equilibrium are to the fore, the merging of energies within shared space in the centre, is in vibrational focus. Partnerships in high, harmonious vibrations will effortlessly keep rising, expanding and radiating LoveLight, optimizing this energy. Where partnerships are based in, or expressing through, uneven energies (consciously or unconsciously) any vibration not in unity will be highlighted and brought into focus, with the opportunity to resolve and harmonize energies and lift into new ~ maybe even previously unimagined ~ heights of expression and expansion! Where higher loving unity isn’t aligning, there may be divergence, in which case the 11 vibration potentizes sacred space opened and held for partnering energies that align higher. The unification of inner feminine and masculine energies and qualities within all is elevating in frequency, and where we are consciously aware of this, the potential to invite and fulfill inner divine union is wonderfully enhanced. The quote we opened this post (and year) with, ‘Miracles exist in the realm of the Soul’, is a profound and simple truth that resonates through our Earthly experience as we allow ourselves to be in the zone of the miraculous as a consistent priority ~ being in touch with and radiating from our Soul’s energy, perspective and purpose, to the best of our understanding and capacities. So in this moment collectively energized as a ‘new year’, we can make a perfect and compassionate gift toward our highest good and the highest good of All, by getting crystal(line) clear with our intentions, and ensuring they are aligned with and energized from the guiding Light of our Soul (intuited and experienced as ‘higher self’). So, diving whole-heartedly into this year, into the divine space of infinite Love between the pillars, embracing the Gateway of Sacred Union within, we make this intention in and from the Always Now; to flow in thought, word and deed from the eternal love, joy and peace we are in every moment, as Souls in devoted and delighted service to Earth’s Ascension. Opalescent ‘moon-like’ orbs of soul families sending Light into this new year. *for more ‘miracle’ inspiration, see this related post from January 2017. Firstly today, we’d like to share a shifting of energies at the ley line node in the garden here (if you haven’t read about it, details are on the Gaia page). The energy went ‘dormant’ in the node – a node is a crossing point of ley lines, the planet’s life force meridians – and guidance came through to change the geometric format on/of the node point, which for the last two years has had the sacred geometry of the Rose Cross or double infinity symbol upon it, which was facilitating a flow of higher dimensional Light from Source into Gaia’s energetic structure through its Twinned Infinity crossing point ‘4 is Love’ geometry (= vibrational holding pattern). Sacred Circle remade/refreshed with white river crystals. On November 24-25, I re-formed the symbol on the node, based on a sacred geometry known on Earth as the Star of Ashur or Star of Shamash. Like many vibrational symbols, this star has been misused/distorted by some on this planet, from ancient times, and we are rectifying and resurrecting its divine cosmic attributes here. As you can see, it still uses the vibration of 4 is Love – but in a different way to the Rose Cross. Instead of two infinity signs crossing in the centre, or 4 petals of the rose meeting and connecting their energies in the centrepoint, the Star of Ashur is a format for merging the vibration of 4, as One Star. In the centre is a double-ringed Sun, or twinned Sun, from which its light radiates through 4 arms, which meet an outer Ring, and then flow through 4 streams back into the Star centre. This can also be felt as the Divine Masculine energy pillaring through the centre, radiating outward, and the Divine Feminine ring flowing the light back inward, in a continuous outbreath-inbreath motion of creation. Each of the streams can be seen/felt as ‘three rivers’ (as in the symbolism used on the Assyrian Flag, see image below) – where 3×4 streams = 12, 12 flows from/to the centrepoint, the 13th point and zeropoint, which is a kindred expression of the Fruit of Life, using the 4×3 rather than 6×2 flows. Or the streams can be seen/felt as 4×4 streams of 4, which is how we have put it on/connected it with the node here. 4×4 = 16, 16×4 = 64, and is connected, in a sacred geometric form vibration, with the 64 codons of our DNA…and we could say, with the higher dimensional ‘code-ons’ – code strands – of the Earth and its life/living expression(s). So this Star on the node is a symbol for/of the uplifting creation-intention we are focusing on now in union with the planetary consciousness. In this symbol, the star, ring and streams are made of local river quartz (yin element) and granite pieces, also high in quartz, from the garden. In and around the centre-point are an emerald facing south, a white-golden quartz triangle facing north, two quartz wands facing east and west, and a selenite vertical pillar in the middle, with five specific stones around it: 5 circling 1 = 6, 15 quartzes in the inner ring = 6, 22 pieces in the second ring = 4, 6+6+4 = 16, and 6+4 = 10, which represents the pillar (1) within the ring (O). We are about to come into a ’10’ year, 2017 = 10, which is also a ‘1’, the creation of new energies, after the completion phase of 2016 (a 9 year, 9 completes cycles, leading into a new 1). 6x6x4 = 144, a divine number, which also = 9, so the ‘central sun’ in this Star represents the 9 going into the 10, infinitely, the eternal unfolding (and infolding) of creation-expansion-completion-creation. While completing this Star, Ashura was directly above in his small ‘pod’ ship from the Meri’Ashar, which was higher above. His pod is visible in this photo, where he hovered in the narrow gap of sky between the trees of the grove around the node. Ashura’s silver-white ‘pod’ ship above the ley line node in the garden, Nov. 25, 2016. Enlargement showing pod, Nov. 25, 2016. We anchored the numeric star vibration of 7, from the Purple Star of 7 points of the Meri’Ashar, through Ashura, into the new node Star, which also holds the 7 vibration – in the 4-point star with 3 rings (one outer ring, and a double/twin inner ring), and the golden-white light of the Meri’Ashar’s (higher dimensional) Core Crystal through a light pillar from Source to Gaia’s heart/Earth core, through the central ring of the Star. (Physically making sacred geometry/numeric templates or symbols helps we who are anchoring on the ground into 3D to both focus our intention clearly, and focus the ‘frequency match’ of that geometry). The activation was profound and instant, the energy streaming through the node immediately opened and lifted in this new format – which reflected in the joyful presence of many interdimensional beings collecting around the node. Some of these souls are tiny, maybe 2cms tall, like the blue being peeping over a leaf below, or pink-peach orbs that flickered into view briefly, or little faces appearing in shafts of light across leaves. Here are a few nature spirits, sprites and other souls enjoying the node light-stream (photos taken Nov. 25 – Dec. 12, 2016). Coming into the Solstice today, we have been focussing with the Rose-Gold Light of Divine Love more deeply; just feel into the combination of red, white and golden light – the grounding of (divine masculine) will and strength with the pure healing embrace of (divine feminine) white Ascension Flame of the Mother, which when merged and blended together as one make pink, and the golden light of the Divine Child rebirthing, resurrecting, restoring the higher vibrational ‘goldenprint’ on Earth and all life here. This light of rose-gold or peachy tones is the full merge of the three-in-One, and radiates unity consciousness flowing through and from the inner heart/seat of the Soul. It is all within you, within us all, waiting and ready to be activated, and to blossom through our joyful inspiration, unconditional kindness to ourselves and all life, our infinite creative imagination aligned with universal love. All it takes is hearing the inner call of your Soul to remember yourself as a sacred living expression of Source, living to express Source in your unique yet united way. This quote feels perfect for this Solstice, for Christ’s Mass and the new year to come, 2017 = 10 (the pillar in the ring) = ‘1’ year, of fresh new energies, a new cycle of energy. This comes from Buddhist master Maticitin – there are gems of truth to be found in every path. Instead of dwelling on desire and wishful thinking, begin living for the good of the whole. Then remember your vow throughout the day. Very subtle but profoundly uplifting changes will come to pass around you. You are part of the whole, so you will naturally reap the benefits of living in this way, and all of life and its life forms will benefit. This is the vibrational mode of 5D living – the win-win situation that benefits and blossoms every being and all life, because all life is seen and felt and known as divine, a sacred intrinsic aspect of the whole, interweaving with other aspects depending on focus and convergence of vibrations. When our desires and wishes are flowing with this whole, with this perspective of divinity expressing through life, free of judgement of conditional thinking, then those desires blossom in a state of grace that benefits the whole, and the whole-in-us. We wish you All a beautiful, uplifting Solstice…the winter solstice of setting in place the new seed, the inner creation moment, in love, for those in the north, and the summer solstice of flowering in love, for those of us here in the southern hemisphere. Let’s all choose our focus – and which desires, dreams and thoughts we empower – well and wisely for the whole. We’ll end this post with some astoundingly beautiful feathered friends of the peachy-rose-gold vibration who have been close – let us say, converged into 3D – through the new Lighting of the node and the flow of rebirthing energies occurring on subtle levels of the planetary sphere. The first is called a Rufus Whistler – a small bird with the most penetrating, bell-like singing and a peachy-russet body. A pair of them have now built a nest in a beech tree overhanging the node and sing constantly around it.